Brad appeared on Vermont Public Radio’s statewide program “Vermont Edition” on Monday, June 2 at noon eastern time. 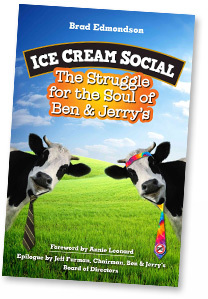 The 30-minute segment, hosted by Jane Lindholm, includes entertaining e-mail and phone comments from listeners about docking dairy cows’ tails, whether the ice cream got sweeter after Unilever bought the company, and how, in general, everything was better in the old days (see above). Listen here.